My patience was running out. It was nearing sunset on a September afternoon along Fiftymile Bench south of Escalante, Utah, and a moderate breeze was blowing my maps and field notebook pages all over the hood of a Ford Bronco. I was running low on energy after an afternoon of prospecting in the lower Morrison Formation, finding nothing but what might have been the impression of a termite nest in one sandstone block. My field assistant, Joshua A. Smith, and I had found a crocodile tooth in the Morrison that morning, but that was many hours ago, and now I gave up on the notes and maps and figured Id finish them later that evening, out of the wind. I was also beginning to wonder where Josh was, as we hadnt seen each other since we set off several hours before. I was getting hungry and was ready to go and wasnt sure how far Josh had ended up hiking. As I was folding the maps up off the hood, Josh appeared about 30 feet up on a white sandstone ledge about a quarter-mile distant and waved. I returned the wave and he started down toward the vehicle, rather nonchalantly. 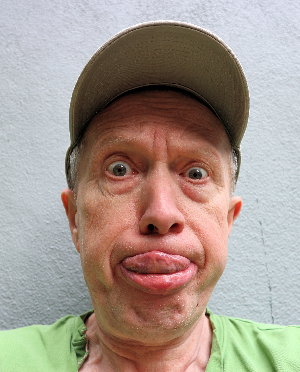 When he got up to the truck, however, he said I needed to come check something out–so we began hiking back up to the sandstone ledge, a walk during which he told me of some odd sedimentary structures and that he “didnt want to say” what he thought they were. This caution was justified, I felt, since there are a lot of false alarms in paleontology: “skulls” that turn out to be concretions, “tracks” that are in reality erosional potholes, that kind of thing. What Josh showed me a few minutes later, however, after wed climbed up to the top of that bench of Entrada Sandstone, was without question an extensive surface of dinosaur tracks, more than 250 in all and belonging to at least 30 individual trackways. Most tracks were of large theropod dinosaurs, but some were of smaller theropods, and one trackway turned out to be the first evidence of a sauropod dinosaur from the Entrada and, for that matter, from the Middle Jurassic of the United States. What Josh had come across that afternoon was more proof of what we were finding out that field season: southern Utah between Hanksville and Kanab is, like many other areas in western North America, crawling with footprints of dinosaurs and other vertebrates. The Entrada Sandstone, with its trackways of large and small theropods (and lone sauropod), is just one formation in the Mesozoic section of the area that yields tracks of ancient animals in their original environments. This part of southern Utah consists of several geographic provinces. Between the Sevier Fault west of Kanab and the Waterpocket Fold in Capitol Reef National Park lie, from west to east, the Grand Staircase, the Kaiparowits Plateau, the Escalante Canyons, and the Circle Cliffs Uplift. And there are footprints in all these areas. Most of this territory is within the boundaries of Grand Staircase-Escalante National Monument and Glen Canyon National Recreation Area, and the rock record here spans most of the Mesozoic. The vertebrate track record begins low in the section just above the Paleozoic Kaibab Limestone. About 235 million years ago, during the Middle Triassic, this part of southern Utah was along the shoreline of a shallow seaway. The continents were still together in one solid landmass called Pangea and this area was quite a bit closer to the equator than it is now. The shallow sea connected to the open ocean up near what is now northern California and the Pacific Northwest. Much of this part of southern Utah was tidal flats and channels along the seaway, and in the shallows of those muddy tidal flats horseshoe crabs crawled and fish swam around among them. Wave action and tidal flow formed ripplemarks across vast surfaces. In the Circle Cliffs Uplift east of Boulder, Utah, these ripplemarks are now frozen in the red shale and sandstone blocks of the Moenkopi Formation. Numerous localities here contain blocks with scrape marks where vertebrates in the shallow water skimmed their toes across the bottom mud. And one site just west of Capitol Reef National Park contains hundreds of tracks and trackways of horseshoe crabs, as well as undulating traces where fish swam, gently scraping their tails and fins along the bottom. To the southeast, in more terrestrial habitats than those seen in Utah, there are trackways and fossils of small- and medium-sized reptiles that were on the world stage right when the first dinosaurs were about to appear. Later, the mud cracked as it dried in the sun. Today, at several localities in the Owl Rock Member of the Chinle Formation in the Circle Cliffs, we see some evidence of all these occurrences. Mudcracks, raindrop impressions, and impressions and casts of conifer stems are not uncommon in the rocks on some slopes in the formation, and tracks are found as well, including the ichnogenera Grallator, Apatopus, Rhynchosauroides, Gwyneddichnium, and Pseudotetrasauropus. These ichnotaxa represent a variety of vertebrate forms that lived near the lakeshores during the Late Triassic. Localities along the east and west sides of the Circle Cliffs preserve tracks of these ichnogenera, and in some cases impressions of the animals scales are in the tracks. This was a time when dinosaurs were first diversifying, which they would do with apparent gusto during the Jurassic, but dinosaurs did not yet dominate the landscape. In Chinle times, dinosaurs like Coelophysis and Revueltosaurus were less common (and often much smaller) than the non-dinosaurian phytosaurs, rauisuchians, and aetosaurs. alluvial plain along the southeast shore. The landscape consisted of lakes, rivers, and muddy floodplains on which grew large conifer trees. The shores of some of these lakes were crossed by small carnivorous dinosaurs, large crocodile-like phytosaurs, small lizard-like animals, and prosauropod dinosaurs no bigger than a large deer. Short stems and branches of the conifer trees fell in the breeze and landed in the limy lakeshore mud, which had sometimes been covered in tiny craters by raindrops falling during a light shower. 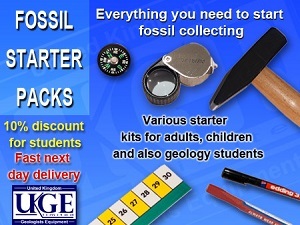 By the beginning of the Early Jurassic, about 205 million years ago, sand dunes had arrived. The northeastern part of the study area in what would become the Circle Cliffs was covered in large sand dunes and the more western areas were a mixture of small dunes and sandy braided streams similar to those seen in many arid and semi-arid regions today. These stream sandbars and dunes were crossed by small theropod dinosaurs and early crocodile relatives, as well as by some early bipedal plant-eating dinosaurs. Today the streams and dunes are solidified into the rocks of the Moenave Formation and Wingate Sandstone, respectively. The Wingate forms the spectacular red-orange walls of the Circle Cliffs and contains only a few known theropod dinosaur tracks, while the Moenave Formation is part of the Vermilion Cliffs east of Kanab. The lower part of the Moenave just above the Chinle Formation yields abundant tracks of small theropods (Grallator), crocodylomorphs (Batrachopus), and small herbivorous ornithopods (Anomoepus). During the field season we worked the lower part of the Moenave Formation and found tracks almost everywhere we searched. The Kayenta Formation down in Arizona has yielded a diverse assemblage of Early Jurassic vertebrates from about 195 million years ago. This fauna includes a frog, a mammal, a turtle, a pterosaur, and other animals, along with the medium-sized (as theropods go) carnivorous dinosaur Dilophosaurus. Unfortunately, the sandy facies of the Kayenta in southern Utah rarely preserves skeletal material, but the track record is quite good. Sites along a high bluff near Kanab preserve hundreds of tracks of large and small theropod dinosaurs, including the ichnogenera Grallator, Eubrontes, and Kayentapus. These animals were likely crossing sandy stream bars. By the later part of the Early Jurassic, the landscape of western North America was still being dominated by sand dunes, and animals continued to live in these areas. During deposition of the Navajo Sandstone, small carnivorous dinosaurs and smaller “reptilian” cousins of the ancestors of mammals frequently walked up the faces of sand dunes and left their tracks frozen there in the forms of the ichnogenera Grallator and Brasilichnium. 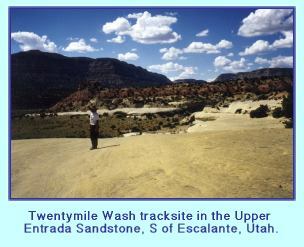 Several sites in the Escalante Canyons and White Cliffs areas preserve tracks of these types. Meanwhile, in the wetter dune oasis deposits, larger carnivorous dinosaurs prowled, as indicated by at least one site in a Navajo limestone deposit in the White Cliffs area northeast of Kanab. Despite the arid desert landscape suggested by the abundant dune deposits of the Navajo, it appears that there was still an abundance of relatively large animal life present in the region 185 million years ago, and fossil trees have been found in the Navajo oasis deposits near Moab. 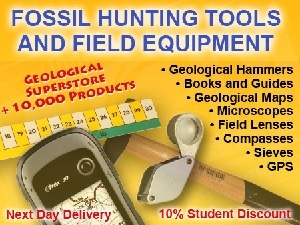 We didnt spend as much time as we might have that field season prospecting in the Carmel Formation. This is partly because it can get a bit discouraging finding little or nothing. We also found nearly every way possible to get a Bronco stuck in the mud, snow, or ruts on some of the jeep trails in this region, so there were entire areas of outcrop that we simply couldnt get to with the time we had. The Carmel is the deposit of a shallow Middle Jurassic sea that came into the region after the Navajo dune fields. In the areas we were looking at in the Carmel, very little has been preserved. Most of what we saw were trace fossils of invertebrates and a few oysters. 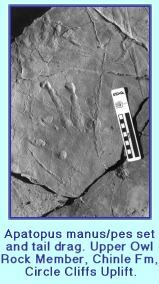 Some theropod footprints have been found in the Carmel Formation, but that was up in Dinosaur National Monument and there was little chance of that here. So we usually moved on to other formations. Later in the Middle Jurassic, about 168 million years ago, dunes returned once again to large areas of this part of Utah and they lined a retreated interior seaway. Large sand dunes and tidal flats and wet inter-dune areas dominated much of the region between western Colorado and southwestern Utah, and late in this cycle large dinosaurs roamed leaving abundant footprints in what would become the rock of the Entrada Sandstone. The Entrada is a beautiful formation, containing giant eolian crossbeds, that makes for some great mountain biking around Moab, Utah, and also forms the main rock of the arches at Arches National Park. Thousands of footprints of large carnivorous dinosaurs have been found in the upper part of the Entrada Sandstone around Arches and Moab (recently some workers have reassigned this track level to the Curtis Formation). For years paleontologists working on the tracks wondered: what were so many large carnivorous dinosaurs doing in an area that appeared to consist principally of tidal flats and sand dunes with little evidence for vegetation or dinosaurian prey? Part of the answer was found south of Escalante during our work in the Entrada along Fiftymile Bench. 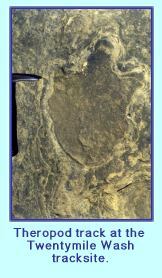 Again, at the site Josh found that day, the upper Entrada revealed abundant large theropods in what appeared to be a tidal flat or inter-dune area near large sand dunes, but this time there was also a sauropod trackway–evidence of plant-eating dinosaurs, and a source of food for the theropods. On some level, we knew this had to be the case all along–large carnivores are dependent on herbivores (and thus on plants) for energy–so we had wondered about the herbivores: where were they? Now at least we know they were there. They just seem to be unusually rare, at least in these particular environments. Above the Entrada, tracks also occur in the Morrison, Straight Cliffs, Wahweap, and Kaiparowits formations, although the occurrences are more isolated due to preservational characteristics of the formations. Throughout much of the time that these formations were deposited (during the rest of the Jurassic and in the Cretaceous), southern Utah consisted mainly of rivers, lakes, ponds, and floodplains, with occasional marine influence, but the animals that lived there changed quite significantly from communities of stegosaurs, sauropods, and allosaurs in the Late Jurassic to communities of certopsians, duck-bills, and tyrannosaurs at the end of the Cretaceous. Searching more in these younger formations would undoubtedly reveal more track sites. With a little persistence and knowledge of where and how to look, we can learn quite a lot from the track record, and southern Utah has a spectacular one. Many surrounding areas are nearly as productive for ancient footprints. The tracks are everywhere–we just need to remember to pay attention to them.